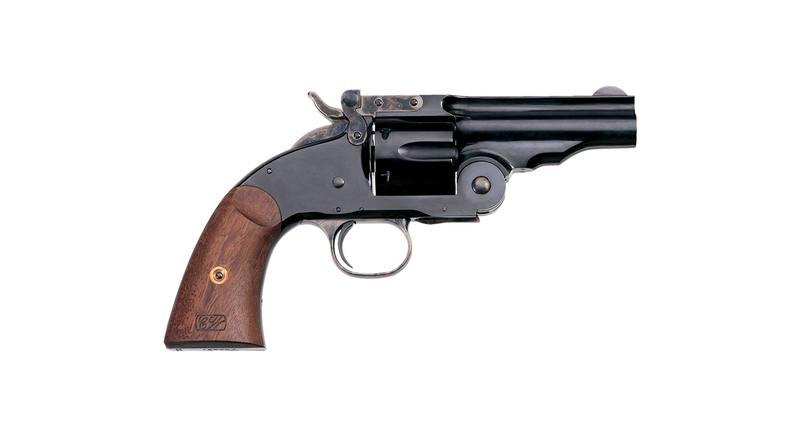 Designed by Major Schofield of U.S. Army the Schofield Revolver was an improvement and up-grade of earlier top-break Single Action revolvers produced in the line of the legendary firearms company Smith & Wesson. The United States Army contracted a total of over 5 000 Schofields with 7-1/2″ barrel lengths. The caliber was .45 Schofield. 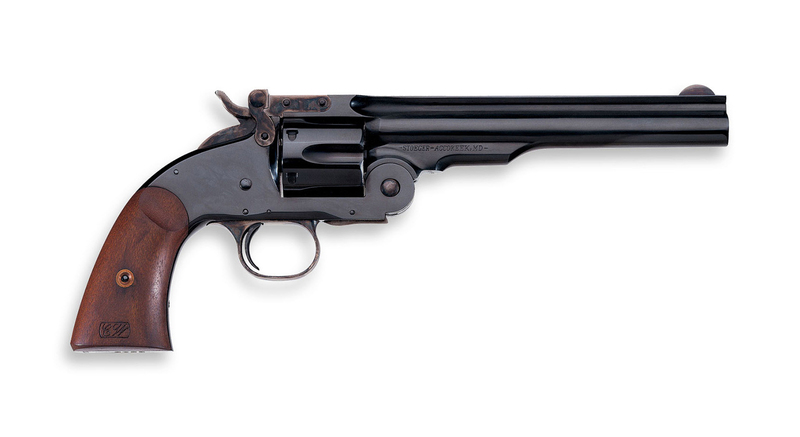 This revolver represents the first real challenge on the military and civilian market to the Colt Single Action. 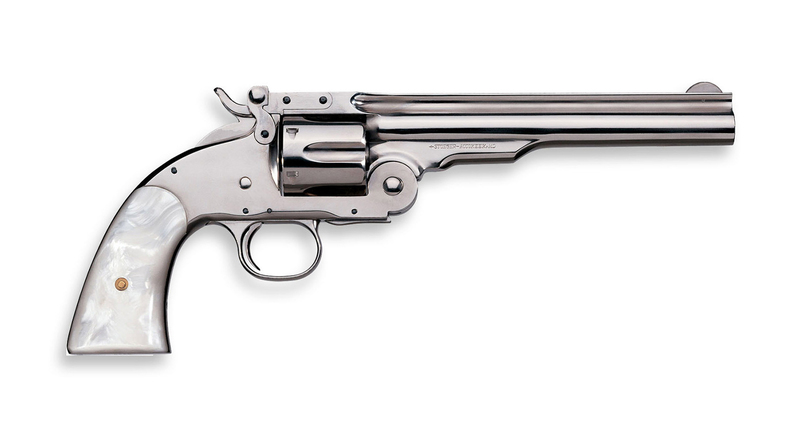 Graceful and accurate the Schofield revolver was the choice of many gunslingers and entrepeneurs in the Old West. Jesse James is said to have carried both the Schofield and the Colt Single Actions simultaneously. 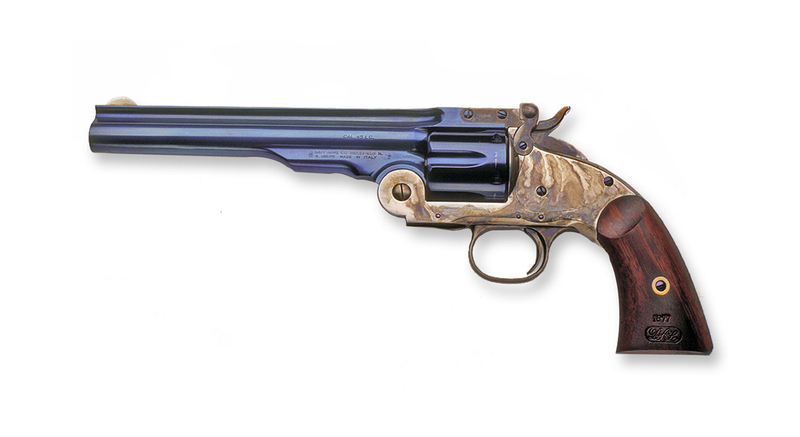 The Wells Fargo Company stocked their considerable arsenal with special 5-1/2″ Schofield revolvers marked with the company logo. 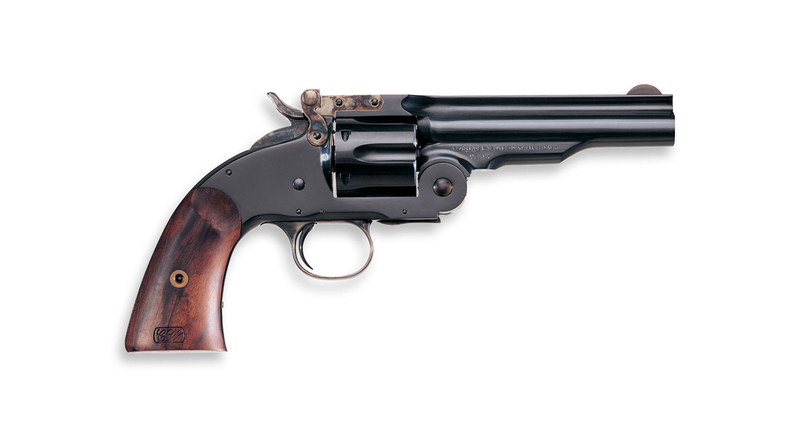 Now Uberti enriches its fine line of Historical Reproduction Firearms with the classic Schofield Single Action Revolver. Faithful to the sleek and graceful lines of the original the Uberti Top Breack is strengthened and improved with modern steels and technology enabling the chambering of modern smokeless cartridges in .44/40 and .45LC.